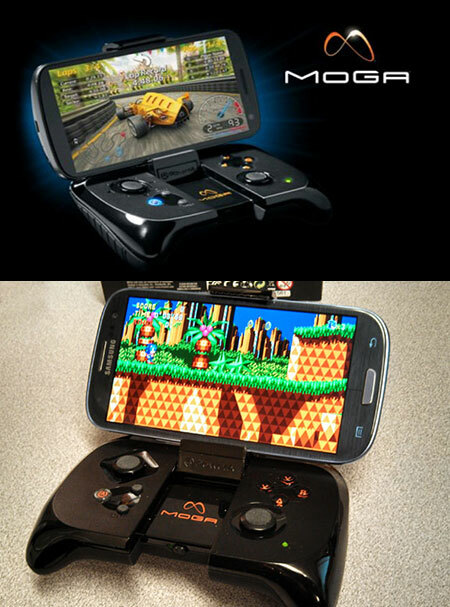 MOGA’s Mobile Gaming System is currently being offered at only $37.67 shipped, originally priced at $49.99. With its dual analog sticks and a full range of buttons, this innovative gaming accessory gives you a more natural, immersive way of playing mobile games. Product page. Continue reading for a video review. Free downloads of Sonic CD and PAC-MAN by Namco included with purchase. MOGA Pivot App lets you explore all MOGA games in one convenient app. MOGA Mobile Gaming Controller is a high precision, totally portable game controller with dual analog sticks, shoulder triggers and four action buttons. Your phone snaps right in – up to 3.2 in./82mm, the largest phones in the market – or kick back and game on your tablet.